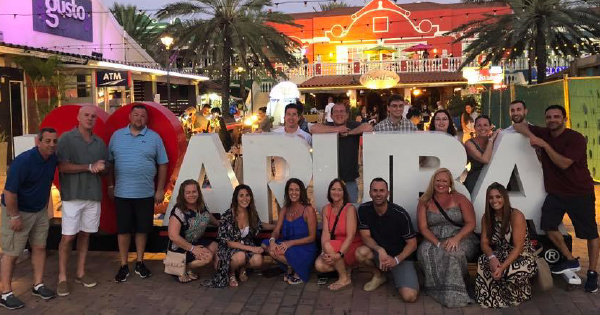 Members of the 2017 Lamacchia Realty President’s Club just returned from an outstanding all-inclusive trip to the Riu Palace Antillas Hotel in Palm Beach, Aruba last week. 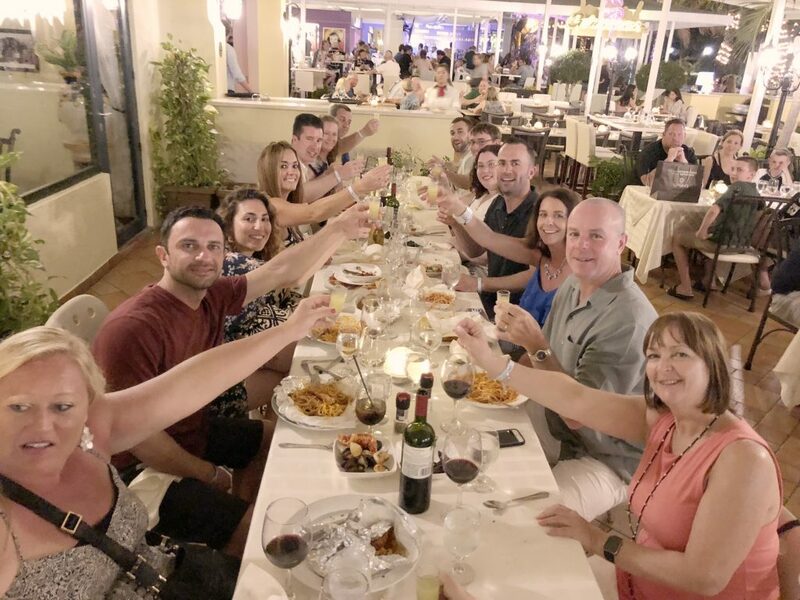 Qualifying agents, along with half of the management team and the Employee of the Year, and their guests enjoyed four days of fun in the sun with activities at the Jolly Pirate and the Tarzan Boat to celebrate their growing business and contribution to the company’s success. Inductees include Darlene Umina, Michelle Wesson, Joe Pinto, Alex Montalto, Joselin Malkhasian, Angela Harkins, Deanna Faucher, and Eileen Doherty, along with Employee of the Year, Administrative Assistant Kim Beaulieu. 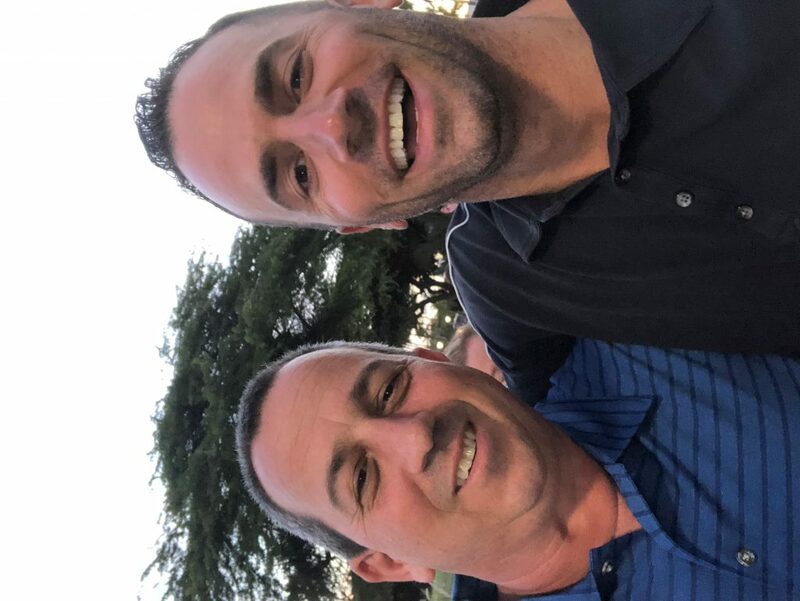 “When I started at Lamacchia as a temp I had no intention to stay here. It was a job that I needed to hold me over while I figured out what I was going to do with my life. I even had the choice of two jobs and decided that real estate sounded a bit better. That was one of the best decisions I could have ever made. I found much more than just a job. From day one I can still remember telling Steve how welcomed I felt and over time it’s turned into my second family. My coworkers are amazing and want to see you succeed. Management doesn’t want you to fail, they want to lift you up. 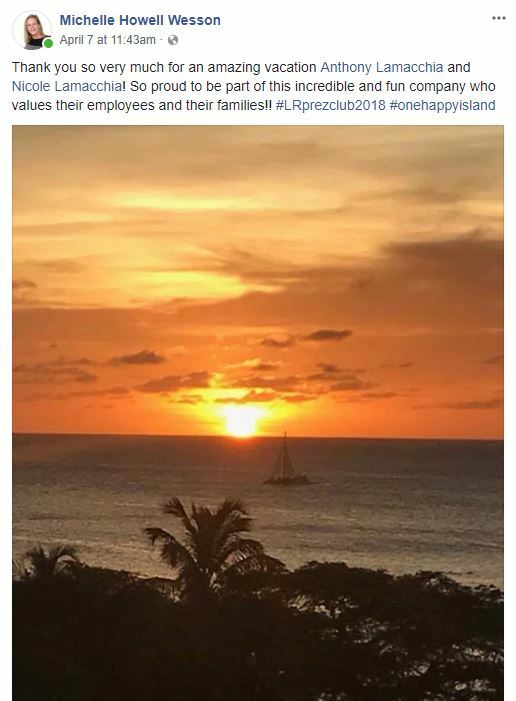 And Anthony cares more than any owner I’ve ever seen, and it shows throughout the company. This is one of the best company’s I’ve ever been a part of and it’s all because of the people here. 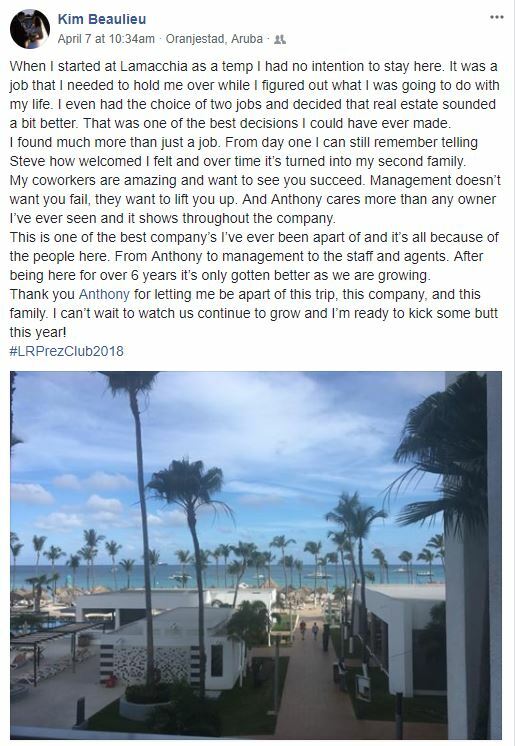 From Anthony to management to the staff and agents. After being here for over 6 years it’s only gotten better as we are growing. President’s Club members completed 33 total transactions or $16 million in total sales volume. 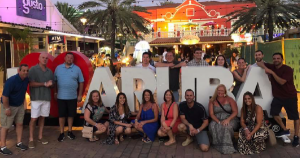 Members of the management team who were invited on this annual trip were Sarah Chaisson, VP of Lamacchia Realty, Angela Walker, Director of Operations, Dave Karoly, Sales Manager, along with Broker/Owner Anthony Lamacchia and his wife, Nicole Lamacchia, the company’s bookkeeper.